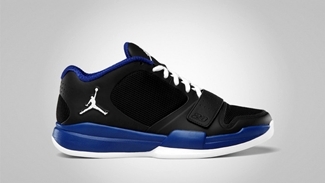 Another impressive trainer shoe is expected to make waves this month as Jordan Brand announced the release of two more colorways of the Jordan BCT Low this March 2012. Known as the Black Cat Trainer, which features a strap support and superb trainer technology, will be released in Black/White – Action Green and Black/White – Old Royal colorways anytime this month. Aside from the superb qualities of this silhouette, both editions are also excellent eye-catchers. Watch out for this one, this is expected to be a hit!